Wavy Nation Citizen Interview #1! Hello, Nation! From time to time I will ask wavies to tell us a bit about embracing the wave, their tips, and assundry wisdom from their experiences. T oday we have a Wavy Nation Citizen Holly Needsavacation with us to share her wavy journey and a fantastic video on refreshing hair. Holly has had an amazing journey with hair that was brutally damaged by a keratin treatment. You’d never know it now. Her adherence to the Curly Girl methods has grown out her tresses to some amazing waves. See Holly’s interview after the video. You won’t want to miss it! WN: How long have you been “embracing wave”? WN: Tell us a little about what have been the most successful changes for you. HN: Not flat ironing or blowdrying with a brush really helped my hair heal. 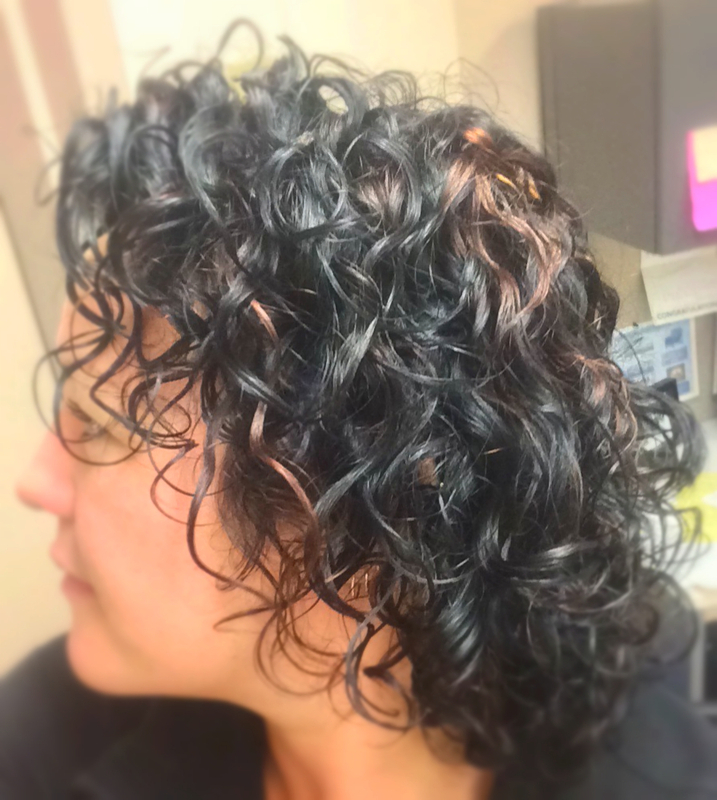 Using a diffuser and scrunching in my products helped what wave I do have stay longer. An understanding of what the ingredients in my products DO for my hair has helped me understand what can be improved and work better or what to avoid. WN: Do you find you need to change your “product wardrobe” through out the year? HN: I don’t know if it’s a seasonal thing, or I just am a true product junkie. I like my hair most days but I cannot resist when I see a new product or there’s a stellar recommendation on a certain product, I immediately need to try that product then too! WN: What are some of your “HG” products? HN: Allissa Ponders FSG!!!! (WN note: That would be Sweet Curls Elixir products on Etsy!) Sealing with jojoba oil, Herbal Essences Set me up Gel, Salon Grafix volume hair spray. WN: What do you think are the most successful techniques to use for your hair? HN: Squish to condish (WN: This is a technique from Melissa Stites “There Once was a Curl” blog, entry Squish to Condish ) really moisturizes my hair, oil sealing to prevent frizz, clipping for volume. WN: What is the most surprising thing you have learned about your hair since embracing the wave? HN: My hair is as moody as I am. It looks THE BEST and biggest right after a good hard run- but the rest of me then needs a shower! WN: For anyone new, what tip would you most like to share? HN: It is hard when you want gorgeous voluminous waves and you are new and unsure what to do. It can be overwhelming, but I assure you, make it your hobby, have a creative mind and budget and explore the hair world and what works for you! WN: Is there anything else you’d like to share with The Wavy Nation? HN: Your hair is as unique as you, no one product or routine will work for all of us- and don’t dare to do different! Thank you, Holly for sharing with us your tips and doing that fantastic video! Let’s give Holly a hand, everybody! !